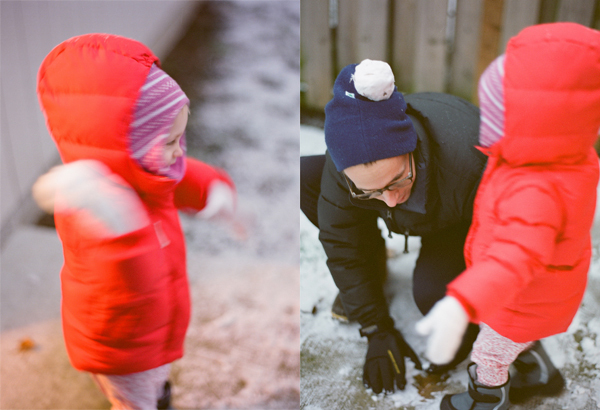 Two days after arriving in Seattle, we woke up early for church and were so happily surprised by the start of our big snow storm. 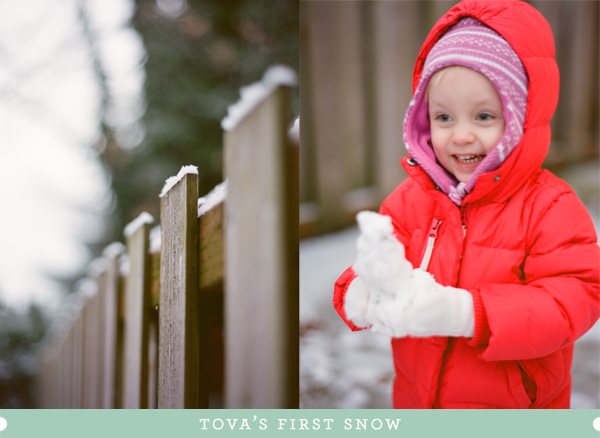 It was Tova's first time seeing snow, and she didn't even know what to think at first. 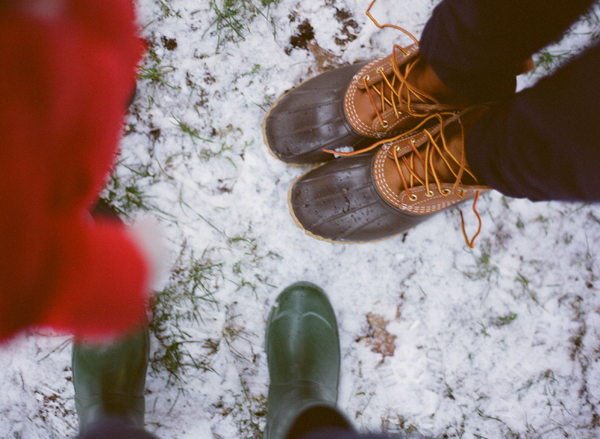 It was adorable. 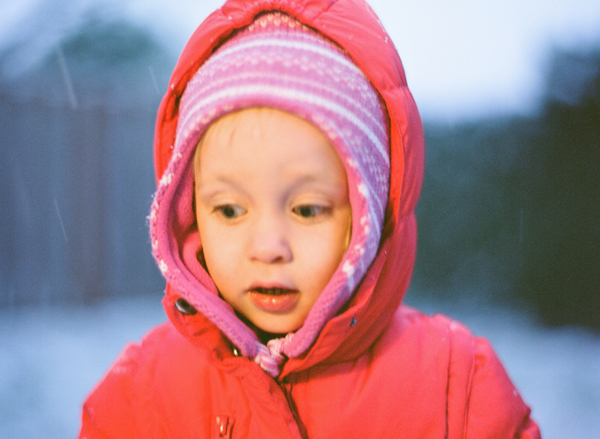 We threw on boots and coats and played in the back yard before braving the streets as the snow really started to come down. 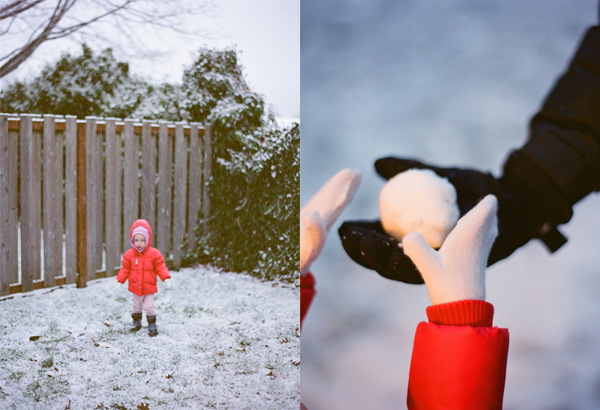 More photos of the snow storm soon!